The excitement of getting a new coin for your collection is undeniable – especially when you’re starting out. 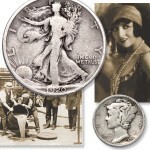 It could be the type of coin, the luster, the age or the dramatic design. 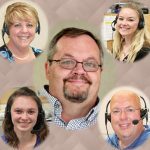 Understandably, you want to share your latest find with friends and family because your discovery is part of the enjoyment of collecting! But your early days of collecting has a couple of unusual terms when it comes to how you might want to preserve your latest finds. Chrystal, LCC’s Assembly Supervisor, holds examples of our hard-shell plastic holders. 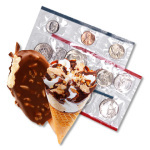 Yet, encapsulating coins in protective plastic is how slabbing coins got started in the 1970s. 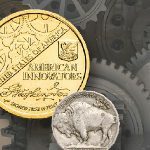 To foil forgers and reassure collectors, the American Numismatic Association (ANA) created a certification service using its grading standards. As an additional security step, ANA moved to encapsulate coins in ‘tamper-evident’ hard plastic holders. 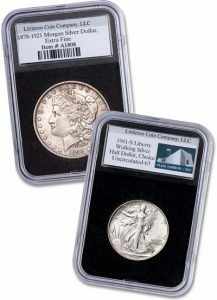 Littleton Coin offers sought-after coins that are encapsulated and identified with grades that meets its strict standards, such as this Very Fine 1938 Buffalo nickel and this Extra Fine Morgan dollar. How the term ‘slab’ replaced ‘encapsulated’ may remain a mystery. What’s not secret is the increased interest in protecting coins to maintain their integrity as well as shielding them from our fingers’ natural oils. 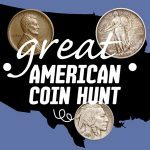 To help those new to collecting coins, Littleton has a page on its website that explains General Coin Care. 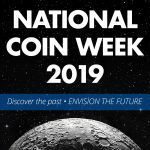 Every coin tells a story. 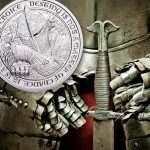 After decades of telling those stories in catalogs, Littleton Coin Company took a creative leap to make popular coin stories – and their coins – portable and protected in safe, inert plastic. 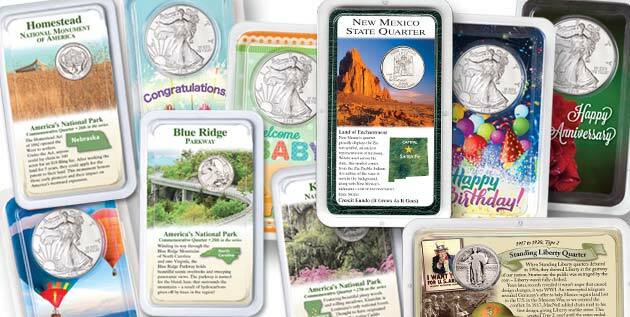 With fascinating history, stunning photography or artwork, and a protected bubble for the coin, we called these new holders Showpak® when we debuted them in 2000. 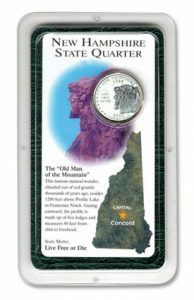 That year was New Hampshire’s turn to unveil its quarter as part of the U.S. Mint’s hugely popular Statehood Quarters Collection. The mint chose the Granite State’s most iconic roadside attraction, the Old Man of the Mountain. 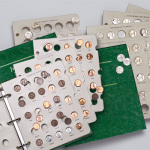 Our Showpaks were custom designed for permanent storage and protection of coins, and can’t be resealed once they’ve been opened. We’ve gone on to use these informative holders for classics such as the Barber quarter, the popular National Park quarters, like this one showing the Ellis Island National Monument, and the Kennedy half dollar that honors each branch of the armed forces. Before too long, we diversified our Showpaks to feature celebratory salutations using each year’s new issue of the dramatic silver American Eagle dollar. 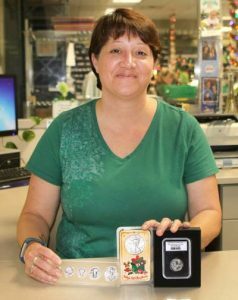 They make gift-giving easy – and memorable – for weddings, anniversaries, birthdays, graduations, and even for future coin collectors with a greeting that welcomes a new baby! And no worries if your slabbed coins and Showpaks are stacking up. To help you stay organized, Littleton Coin has storage boxes for them, too!